Chris Oates is a Toronto-based Gowling WLG partner practising in the Advertising & Product Regulatory Group, with a particular focus on matters related to privacy and electronic commerce. 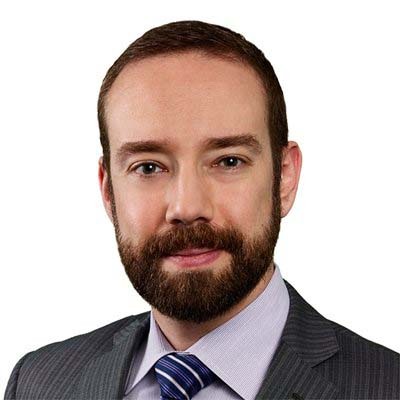 His practice includes advising clients on privacy and consumer protection law, including drafting and reviewing privacy policies and advising on privacy in the context of financial institutions, social media, consumer marketing campaigns, electronic commerce and Canada's anti-spam legislation (CASL). In his privacy practice, Chris advises organizations on the collecting, use, and disclosure of consumer information, including credit reporting, risk management and behavioural advertising and tracking. His experience includes reviewing the adoption of new website analytics tools and tracking programs, and the attendant privacy obligations, as well as reviewing and revising data transfer and processing agreements. A member of Gowling WLG's InsurTech Group, Chris also advises on service provider and master services agreements, and has advised on the privacy-related aspects of large corporate mergers and acquisitions for major insurance providers. Chris' practice also includes all matters pertaining to direct-to-consumer marketing, including advertising, packaging and labelling review; contest design and review; advertising in social media; drafting and reviewing talent, media, and sponsorship agreements, and regulatory law pertaining to foods, alcoholic beverages, cosmetics and drug products. Chris is the co-editor of the firm's AdBytes advertising and marketing law newsletter. He is a frequent contributor to both AdBytes and the privacy alerts published by Gowling WLG's Privacy & Data Protection Group. He also contributes to other publications on advertising and privacy law-related matters. University of Alberta, B.Sc. Hons. Chris is the former editor of Gowling WLG's AdBytes advertising and marketing law newsletter, and is a frequent contributor to AdBytes, the privacy alerts published by Gowling WLG's Privacy & Information Management Group, and other publications on advertising and privacy law related matters, including recently proposed amendments to the Federal Personal Information Protection and Electronic Documents Act.